NetSuite is an enterprise-level customer relationship management (CRM) software that offers a robust cloud-based marketing automation solution. It allows users to have streamlined lead-to-cash processes, sales forecasting, upsell and commission management, and more. In this article, we cover NetSuite reviews and pricing. Ready to get started? Visit its website. Users who gave NetSuite a positive review said that it has a systematic way of tracking of leads and customers. They also added that the customizable dashboards and reports help them track their business performance based on their own parameters. Users who gave NetSuite a negative review said that it has a cluttered user interface that makes it difficult to navigate. They also added that there are frequent interruptions on its third-party app integrations. One user who gave NetSuite a negative review on FinancesOnline said that the user interface made it difficult for him to use the software. He also added that it takes a while to load. NetSuite pricing is not readily available on its website. Similar providers have monthly fees that cost around $10 to $40 for basic services, while the more extensive ones cost around $50 to $100. Factors that affect pricing include the availability of additional CRM features such as email tracking, mobile apps, and more. Ready to get started with NetSuite? Visit its website. 6 Best CRM for Small Business 2018: CRM software helps your sales team stay organized so they can better focus their efforts and close more deals. In this guide, we compare the best CRM software in terms of deal and opportunity management, workflow automation, price, and other considerations. This guide will help you choose a CRM software that would help your business stay organized. How Can NetSuite Users Assess Their Business Performance? NetSuite provides dashboards, reports, and analytics that get updated in real time. Data displayed here include personalized key performance indicators, achieved-vs-quota comparison, forecast-vs-actual sales comparison, and a view of sales pipelines by stage. How Can NetSuite Help Its Users Optimize Their Sales Campaigns? NetSuite gives its users intelligent sales insights by analyzing the customers’ buying patterns. Based on this analysis, NetSuite manages upsells, quotes, and orders accordingly. 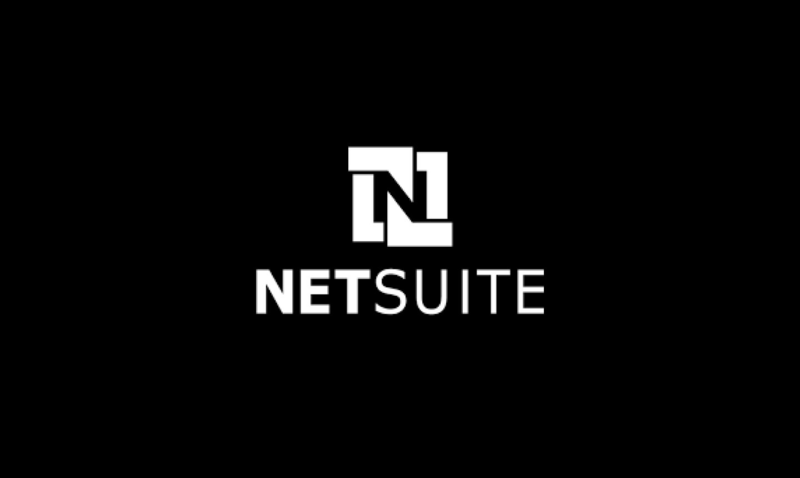 Not sure if NetSuite is the right fit for you? Read our reviews of all top CRM software. That is is incapable of doing many things we thought it would do, that it is making us extremely inefficient and that on a daily basis we complain about how complicated it is to use. Nothing from the purchasing side, or the Engineering side or the Manufacturing side. I’m a Sr. Buyer with 20 years experience, having used 12 other software systems. This is easily the worst. when going from a PR to a PO you don’t have to have a quantity, description, or rate just total rate. It jumbles the lines from the PR by price per item. Nothing that I have encountered. that they lie about features, lie about quality and integrations…..I SIMPLY WOULDN’T HAVE SIGNED UP – but they knew that, hence why the lies came from every angle. I’m sorry you had such a terrible experience with NetSuite, I can understand why this has been frustrating for you. If you are interested in an amazing accounting and financial management ERP and a better customer experience, have a look at Multiview Financial Software. I would be happy to schedule a call with you and tell you why we are different and how we can improve your current situation. Feel free to contact us through our website and just simply as for Mark. I hope we get an opportunity to chat in the coming days. Netsuite does a very good job at organizing our inventory! Entering sales orders and processing invoices are a breeze! I don’t think there is anything done poorly by Netsuite. The only thing that has driven our company to look elsewhere is the cost of the program. I knew everything before purchasing! The Salesman was deceiving, and tried to sneaked in a 27% annual rate increase. Upper management didn’t really care to correct the issue neither. We’ve been using Netsuite since 2010. Previously, when we renewed our annual contract with them, the annual rate increase was about 5%, which was acceptable. However, recently when we reviewed our last couple contracts with them, we found from 2017 to 2018, they tried to sneak in a 27% increase into our contract. Meanwhile, his co-worker Maeflor D kept sending us notices to threaten to suspend our account, and delete all the data on our account (which we highly doubt is even legal). Finally, we got hold a guy named “Ramon A”, who claims to be Jonathan’s supervisor. We talked with him on April 2nd over the phone, and he said he would work on it and try to correct it for us by Apr 6th. He guaranteed us while we were still working on correcting the contract, there would not be any suspension on our account. Of course, on Apr 6th, we heard nothing from him. On Apr 9th, we called him again, and was told he was still working on it, and he would get back to us shortly. We still had heard nothing from him until on April 11th, Maeflor D called us, and demanded us to pay for the newest contract right away. We informed her Ramon A was still working on it, and we had to wait for him. Maeflor D acted like she didn’t care at all that if she couldn’t get the payment by Apr 13th, she would suspend our account. Finally around 7:30pm on Apr 11th, Ramon A responded an email saying his upper management wasn’t going to do any correction on the current contract, however, they emphasized if we would like to sign a future multi year contact with them, they can consider to do minimum rate increase on the multi year contract (What a great deal it would be for Netsuite!). Ramon A said he would give us a call about it in the morning of Apr 12th. On the same night (Apr 11th), we responded to them, and told them that we were just going to pay for the current contract with them, but no more future renewal. On April 12th, no one called us. Ramon A didn’t call as he promised. Maeflor D didn’t call to get the payment from us neither, although we clearly told them we were ready to make the payment. On April 13th, Netsuite turned off all of our access to our account. This case is a shame. The way those Netsuite employees treated their customers is very shameful.